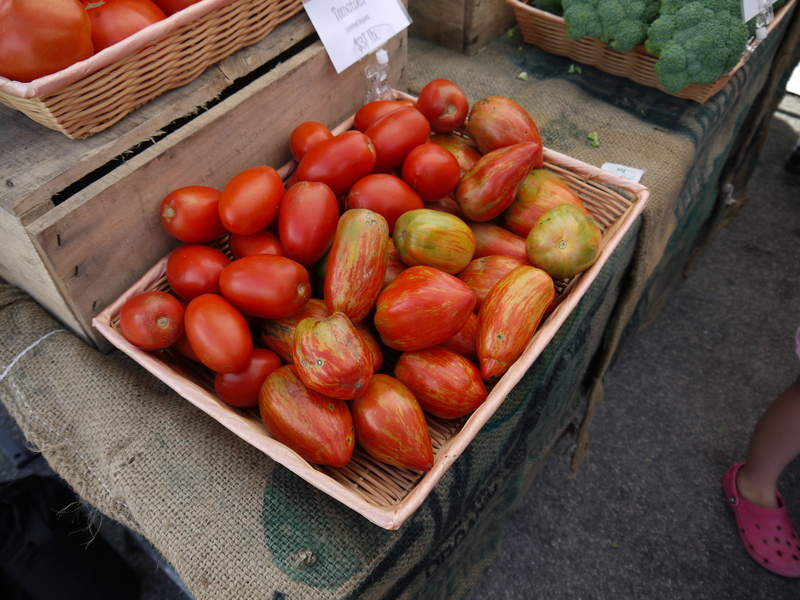 I love living in a place with so many bountiful farmers’ markets. 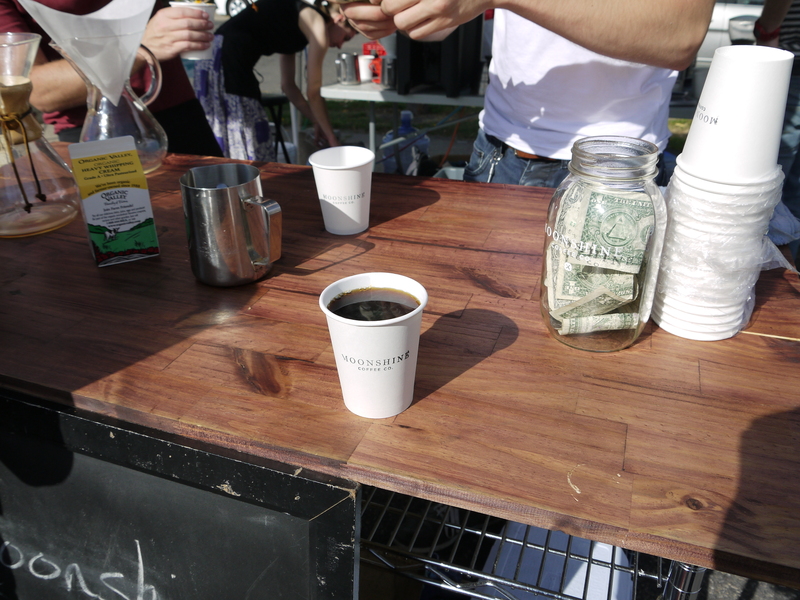 And maybe it’s my small-town self coming through on Saturday mornings, but I prefer the small-scale markets. 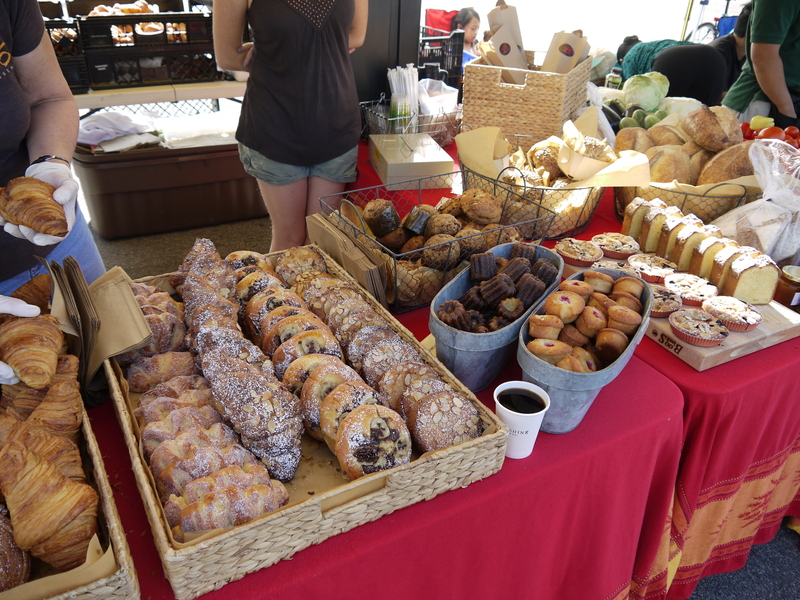 We’ve become regulars at the Fulton neighborhood market, and really, it’s not just because Patisserie 46 sets up a booth every week, although that’s definitely a draw. Would you like to see some of their tasty tidbits? 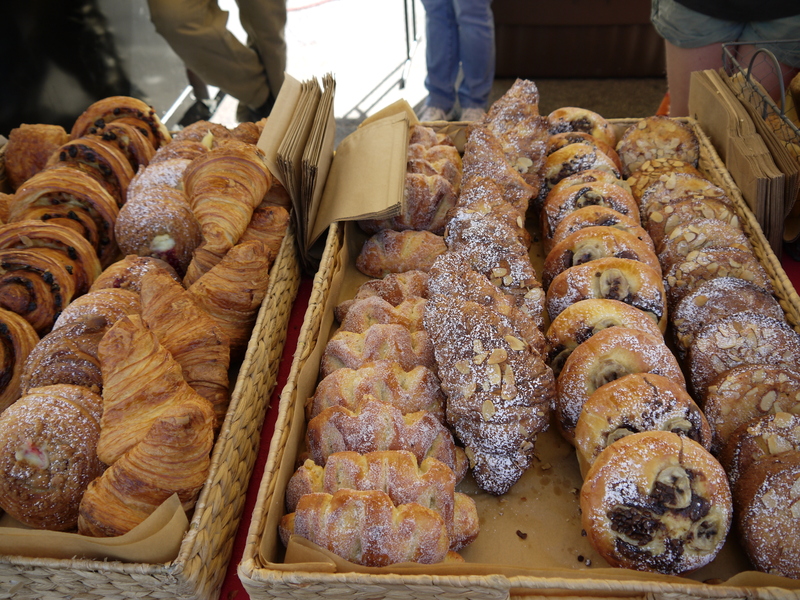 I’m partial to the almond croissants, the almond bostocks (round cakey ones on the right) and the bear-claw-looking pastries whose name I forget which are front-and-center. They are flavored with orange peel and anise, and remind me of the flavors of Sicily, although they’re probably Southern-French. Jack, like his dad, prefers savory snacks. These homemade popsicles are so uniquely and strongly flavored, some of them are practically savory. Lemon-lavender today. See that pucker? 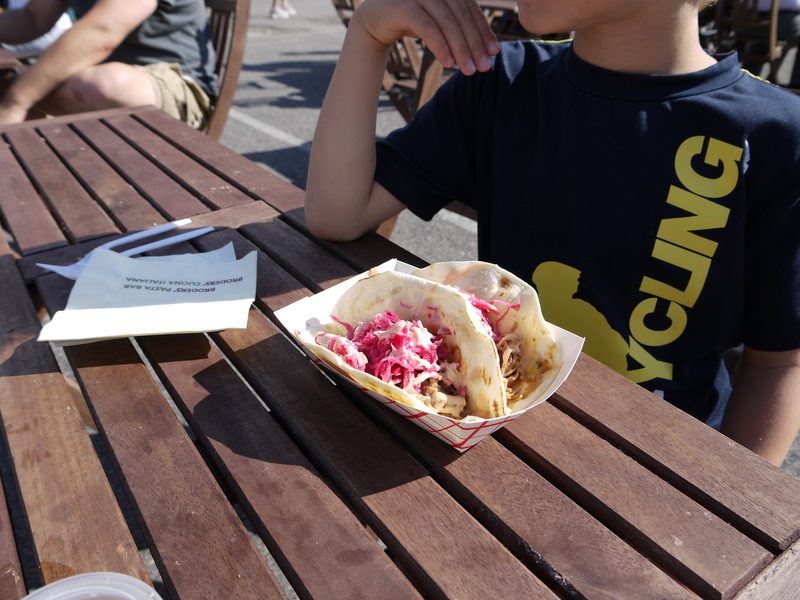 After this thirst-quenching aperitivo, Jack enjoyed a pulled pork taco with spicy slaw from Chef Shack, which is actually a big red truck and not a shack. 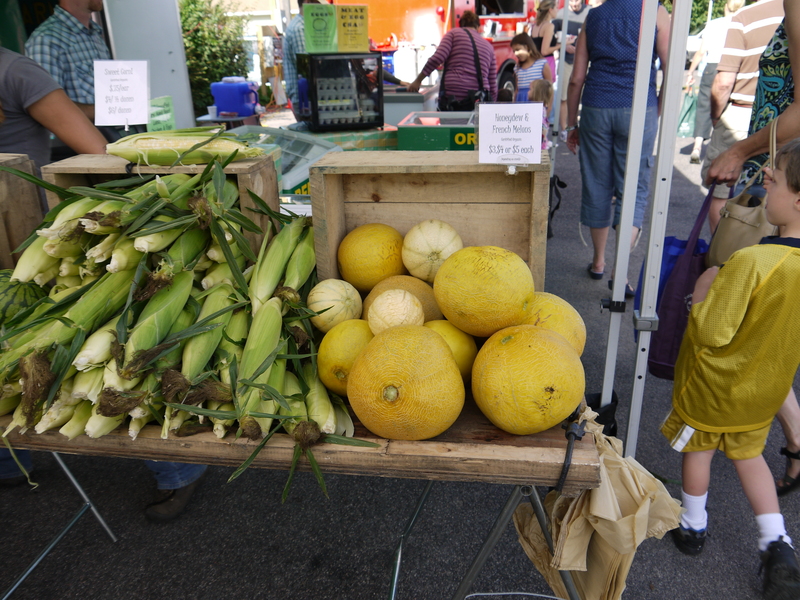 I admit I was skeptical about the corn, which didn’t look as milk-and-sugary as all of the great Vermont and Massachusetts corn I had this summer. But my tastebuds were treated to just as much juicy sweetness as a corn lover could want. It was delicious! 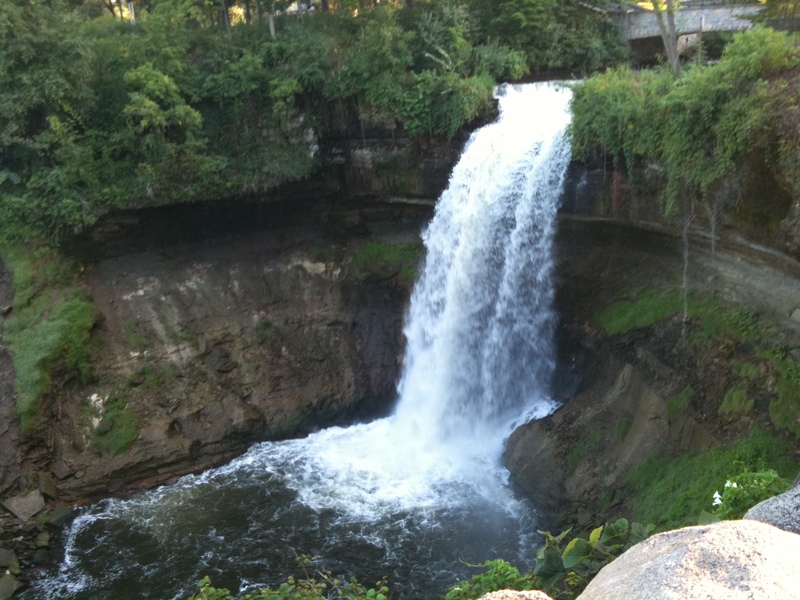 Last night we found another reason to love Minneapolis, thanks to our new friends Andy and Katherine and their boys William and David: Minnehaha Park, where the Creek that flows through our neighborhood ends in a beautiful waterfall. Just across the bike-and-pedestrian path from the falls is a restaurant that is as close as one can come to a New England-style clam shack in this Midwestern city. We ate dinner at an outdoor table at Sea Salt. The boys played catch, and soccer, and football in the park, and dropped in at the restaurant patio just long enough to eat some fried fish with hot sauce. The grown-ups chowed down on fish tacos, a Cuban paella-type dish, crabcakes, fried calamari, and local craft beer. The dads wanted to try the Wisconsin IPA called “Bitter Woman,” but it was tapped out. She’s popular, that one. Who would’ve thought? 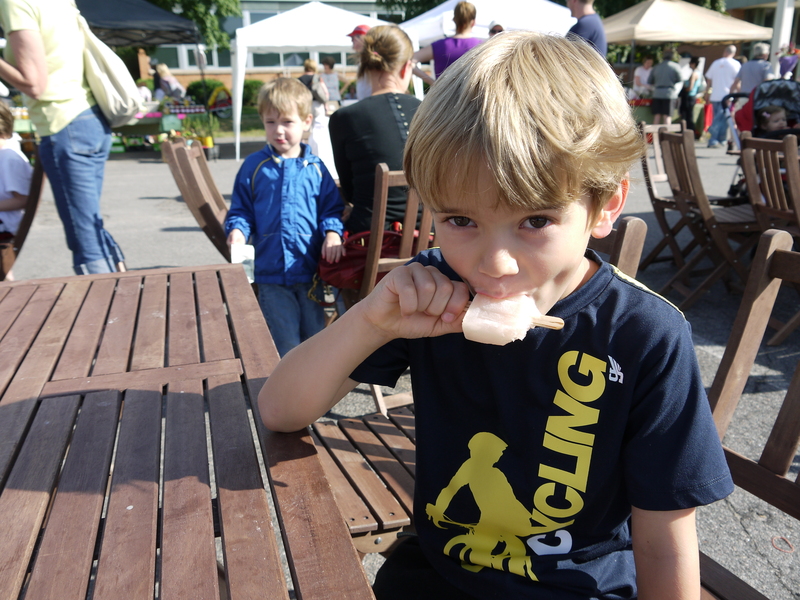 And for dessert, Sebastian Joe’s ice cream–locally made, inventively flavored. I love their cinnamon, and their salted caramel, but last night I stuck with vanilla. It was perfect. Have mercy! So sorry to see you guys go, but Lord have mercy…looks like you’ve gone straight to heaven! So happy for you–and honestly quite a bit jealous.